It was a bittersweet day when Camila Cabello announced she was leaving Fifth Harmony to pursue her solo dreams. And while the girl group is currently on an indefinite hiatus, the fact that Camila up and left before everyone else decided it was time to part ways is something that will always be connected to her, especially since there was plenty of drama during those first few months, post split from the band. So when she and Normani had a reunion at the Billboard Awards earlier this year, fans were left wondering what really happened between these two. Was it friendly? Awkward? Were any tears shed? 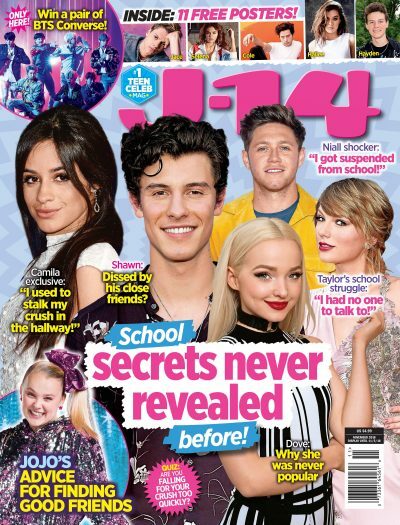 Well, now Camila has revealed all and tbh, it proves yet again that there really is no bad blood between the 21-year-old singer and her former squad. Speaking to Marie Claire, Camila explained that she and the 22-year-old “Live Lies” singer happened to run into each other at the show and had a nice chat, confirming even to Camila herself everything is all good. Aww, how amazing is that? Women supporting women is all we ever want to see. They even snapped a pic together that sent fans into a total frenzy during this chat too. Previously, Camila explained to Access how she felt like she truly was in a nice spot with Normani, Dinah Jane, Lauren Jauregui, and Ally Brooke. Girl is speaking some truth!